David Pickerell. The Accidental Distiller? “Never even thought about it.” That’s the answer you might get from David Pickerell, if you ask if he always dreamed of making whiskey. Interesting to hear, no doubt, especially from the mouth of one of the industry’s greatest icons and most prolific distillers, who, probably more than anyone alive, has helped to shape the face of modern American whiskey, particularly craft distilled whiskey, and make it what it is today. 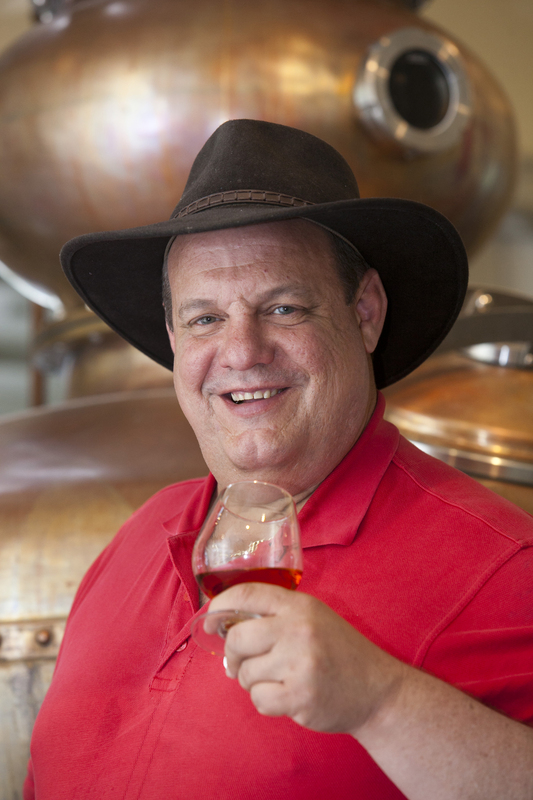 Pickerell is probably most recognized for having been the Master Distiller at Makers Mark for 14 years, a job he backed into after Makers Mark owner Bill Samuels saw his promise and his meticulous attention to detail, and asked if he’d take the job. Of course, that appointment didn’t come out of the blue, Pickerell spent years setting himself up for it, he just may not have realized that distilling whiskey would be the outcome of his plan. Born in Fairborn, Ohio to a middle class family that “didn’t have all that much,” Pickerell showed a talent for analytical thinking at an early age. “From the age of five, my obsession was anything chemistry,” he says. By high school, he was at the top of his class in math and chemistry (two cornerstones of distilling), and also in football, making the All-State team. This led to a scholarship to attend West Point Military Academy, at which he earned a BS in Chemistry upon graduating in 1978. Post-graduation, he spent another 5 years in the Army as a cavalry officer, before being asked by his alma mater if he’d like to teach. Accepting, Pickerell attended the University of Louisville (while there, possibly drinking some bourbon from nearby Bardstown while studying, thereby seeding his interest in the chemical process of distillation?) before returning to West Point as a professor. Eventually, Pickerell realized that a career in the military was not for him, and thankful for all the Army had given him, he left the service to make his own way in the private sector.